Back and neck pain are common complaints by millions of individuals of all ages and lifestyles. Over 80% of people experience at least one episode of back pain at some point in their life. There are a wide array of non-surgical treatment solutions to help people experiencing back pain or injury get back to what they love. Injections are commonly used to treat back pain when conservative methods, such as rest, ice, anti-inflammatory medication, or physical therapy have not alleviated symptoms. They are effective because they deliver treatment directly to the source of the pain. 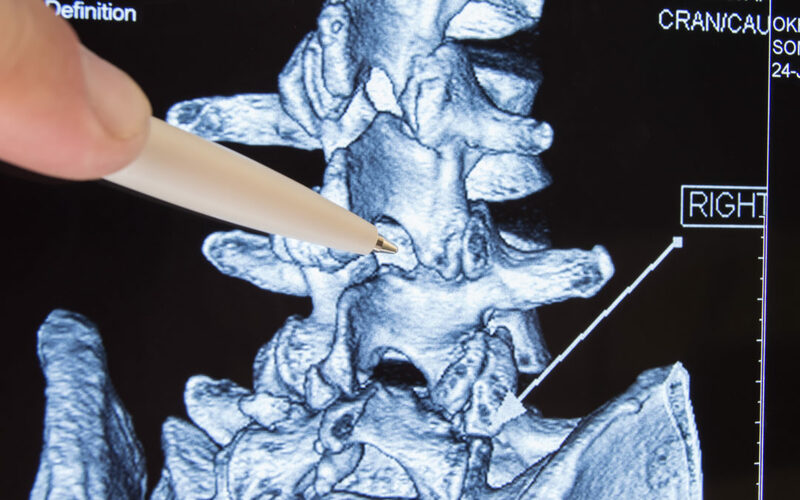 Epidural steroid injections reduce inflammation and relieve back pain caused by spinal nerve irritation from herniated discs and spinal stenosis. In this procedure, the physician injects an anti-inflammatory steroid into the painful area of the spine where the spinal nerves are located, which decreases swelling and relieves pressure. This is typically performed using x-ray guidance, known as fluoroscopy, to properly guide the needle. The facet joints are found on both sides of the back of the spine, they can become irritated and cause back pain due to arthritis or a back injury. Facet joint injections can relieve back pain immediately because an anesthetic is first injected into the facet joint under x-ray guidance. This also helps the physician diagnose the source of the pain. A steroid is then injected to provide long-term pain relief. Radiofrequency Ablation is also commonly used to treat inflamed facet joints that cause back pain. The physician uses x-ray guidance to direct a special type of needle to the medial branch nerves that innervate the facet joints. Electrical current is passed through the needle to heat the medial branch nerve and create a lesion that disrupts the pain signal from the joint. A trigger point injection is used to treat back pain when the muscles do not relax and tighten into a knot or spasm called a trigger point. A trigger point may also cause pain or irritate nerves to cause pain in a different part of the body. In this procedure, an anesthetic is injected into the trigger point to relax the muscles and alleviate pain. Injections typically take place in an outpatient surgery center so patients can go home the same day after receiving an injection. The most common side effect is soreness or redness around the injection area. After the local anesthetic wears off, the patient may still feel pain for several days while the steroid medication begins to take effect. Each injection has risks and benefits that you should discuss with your doctor if you have chronic back pain.